If you have kids and want to encourage them to enjoy bath time, giving them their own bathroom is a good idea. It becomes their space--their space to take a bath and brush their teeth, their space to play and develop a routine all their own. And of course, just like kids' bedrooms, you can't decorate it as you would an adult. Bright colors, interesting shapes and decor that reflects your kids' interests and tastes will work better than a boring white bathroom. I found some interesting additions to a kid's bathroom, whether it's already decorated or not. Let's have a look. 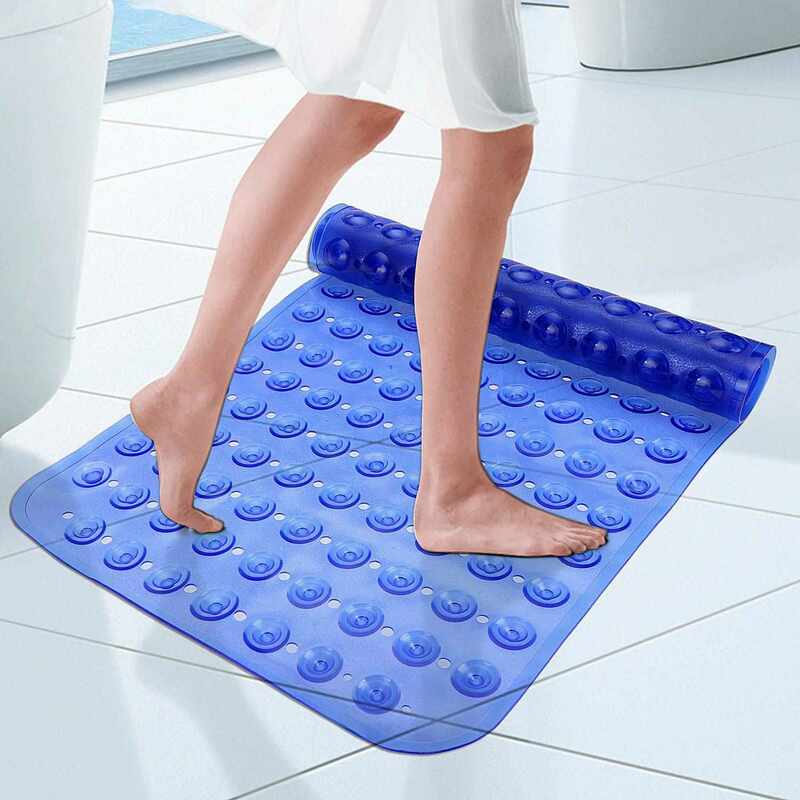 Forget the boring beige non-slip mats of your childhood; today's kid-friendly bathtub and floor mats come in plenty of colors and shapes. Non-slip mats are both practical (no slipping in the shower!) and can be part of the overall design. From colorful pebble mats to cute animals and figures, you can find something that your kid, younger or older, will love. Bath time is instantly more fun if you get to dress up as an Angry Bird, a shark or Olaf from Frozen once it's done. Although not strictly a bathroom accessory, it's still pretty useful to have something your kids can look forward to after the bath, especially if they're a bit difficult about it. Kids love to have things with the portrait of their favourite characters--whether it's from Frozen (the big craze right now), Star Wars or another movie or TV show they love. From cute little fish to Stormtroopers, from world maps to ABC charts, shower curtains these days come in so many prints and patterns that it's sometimes hard to choose! Ask you kids what kind of shower curtain they like. Do they prefer movie characters or something more personal? Take them shopping with you, either in the store or online. Lead them to choose something that will last a while, as their interests can shift really quickly, and changing shower curtain every month doesn't seem very practical. Oh, and don't forget assorted curtain hooks! The companion of good play is good organization, so that everything can be cleaned up quickly and neatly. Practical bath toy organizers use suction cups to hang to the bath wall or side, and your kids can take things in and out as they please. It's a time saver for parents, and good habits for children. Bonus: they let the toys dry, avoiding mold and mildew. And they come in a variety of colors, not just white! It's sometimes hard for little hands to manage the big toothpaste tube, so a toothpaste dispenser is a practical and hygienic solution. Not only does it keep germs and dust away from your toothpaste, but it also ensures that every bit of toothpaste is used. Just show your children how much toothpaste to put on their toothbrush by pressing the dispenser, and voilà! They can now brush their teeth on their own. The assorted toothbrush holder ensures that toothbrushes dry fast and remain clean as well. Making a kids' bathroom cool and practical doesn't have to mean it's ugly or adult-like. Try these cool and practical items to make bath time more fun and personal for your kids.